A visit to Jakarta is always going to be an energetic, cosmopolitan, all-out crazy one! Indonesia’s huge, sprawling capital on the northwest coast of the island of Java is home to 9 million people. And it’s the mix of cultures that really makes this place; influencing everything from architecture to language to cuisine. The meld of Javanese, Malay, Chinese, Arab, Indian and European creates a fantastic pulsating energy and an amazing spirit; it’s a city of contrasts where skyscrapers and heritage buildings sit next door to each other. An excellent location in the heart of the ‘The Golden Triangle’ with the city’s business and shopping centre on your doorstep. This means that you are only 2-minutes walking to Grand Indonesia shopping town and 5-minutes walking to Plaza Indonesia. 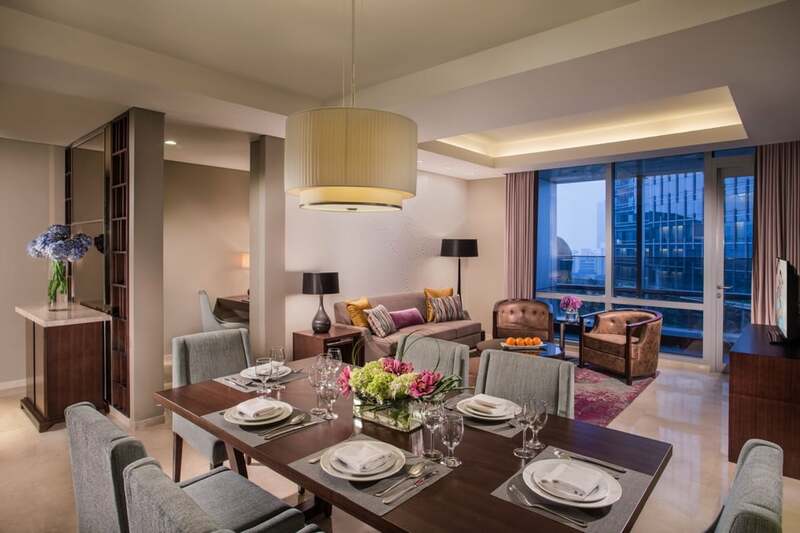 These luxury, serviced apartments are spacious and tastefully decorated with designer furniture. They range in size from studios to three-bedroom apartments but all include a kitchenette and washing machine. 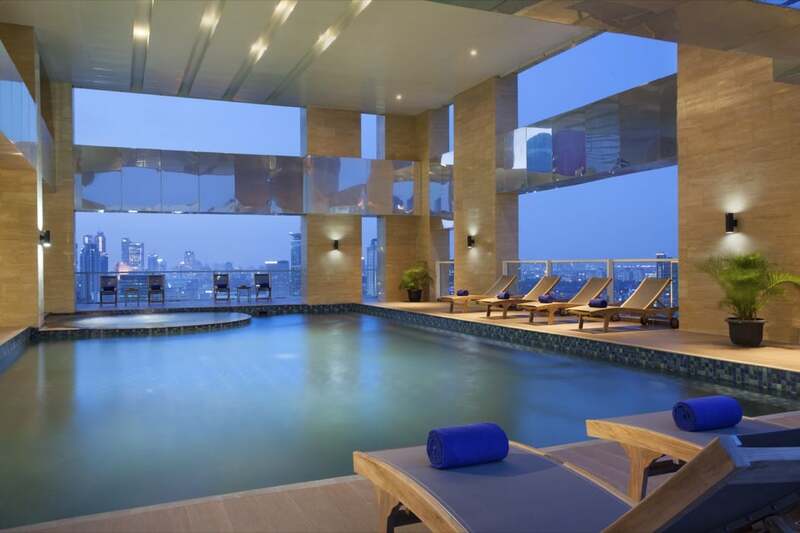 What stands out at the Ascott Jakarta Residence is the facilities; a beautiful swimming pool, sauna and spa, on-site gym, breakfast lounge, tennis court and children’s playroom are all yours to use as you please. 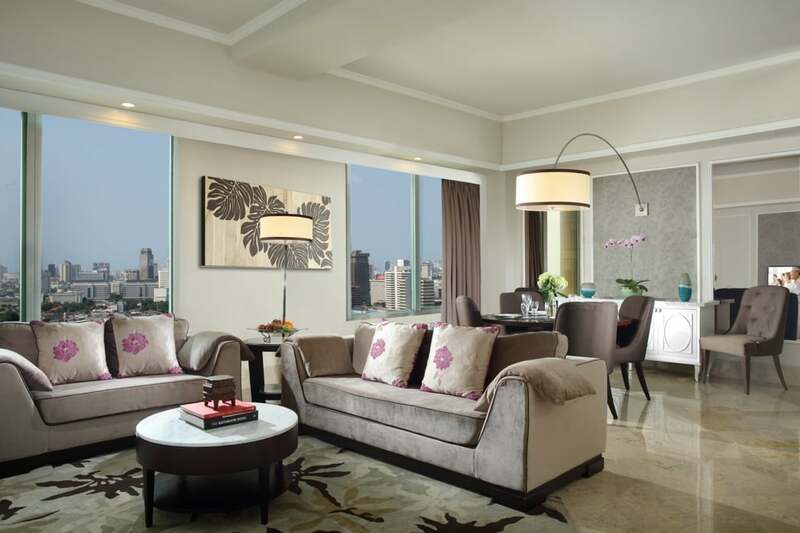 Of course, you are spoilt too; dry cleaning, airport transfer, room service and daily housekeeping are all provided. Plus, there’s an inhouse café and of course, you are very well situated to make the most of Jakarta’s wonderful range of restaurants. These apartments are located in the Central Business District but it’s the building that will really take your fancy! 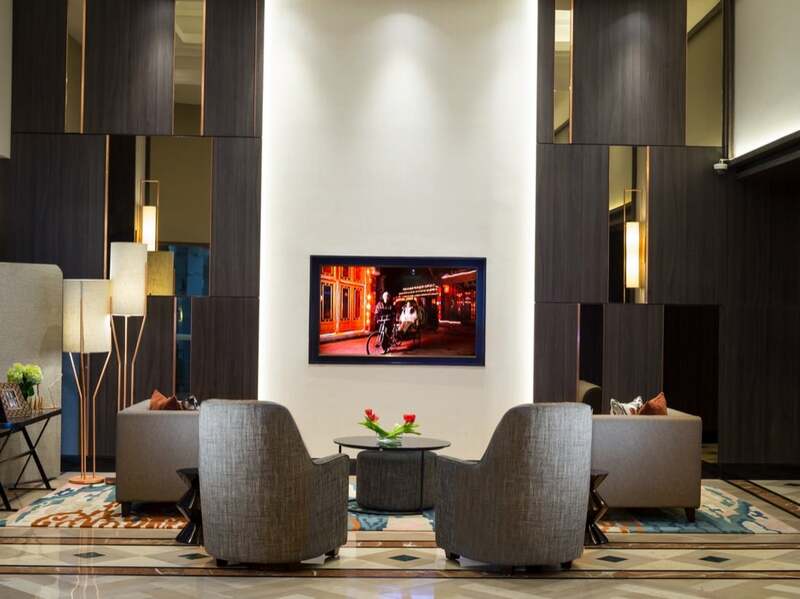 Ascott Kuningan Jakarta is part of Ciputra World 1, an impressive integrated structure that comprises of an upscale shopping centre: Lotte Shopping Avenue, the ArtPreneur Centre (a museum, art gallery and theatre rolled into one) and an office tower! The facilities are pretty great here too; there’s a business centre, on-site gym, swimming pool, badminton, basketball and tennis courts, children’s playground and playroom, a residents’ lounge, a carpark and all the usual services including room service. 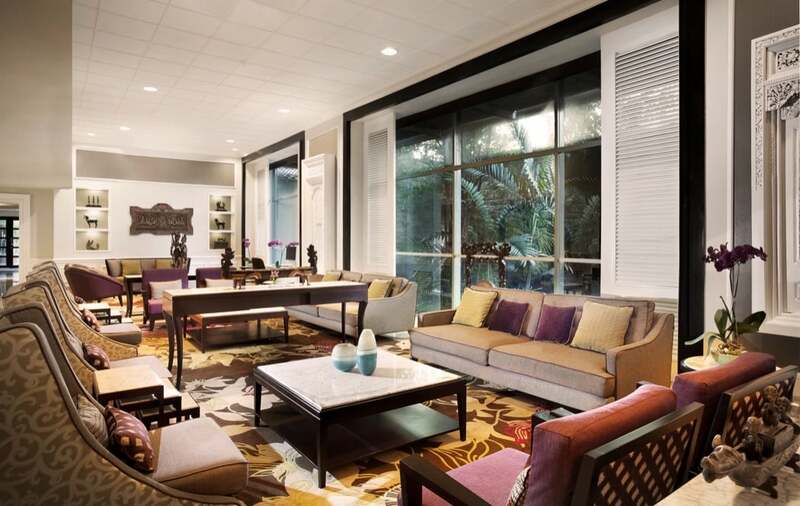 The one to three-bedroom apartments are beautiful and are adorned with stunning expressionist art pieces by one of Indonesia’s most celebrated artists, Hendra Gunawan. 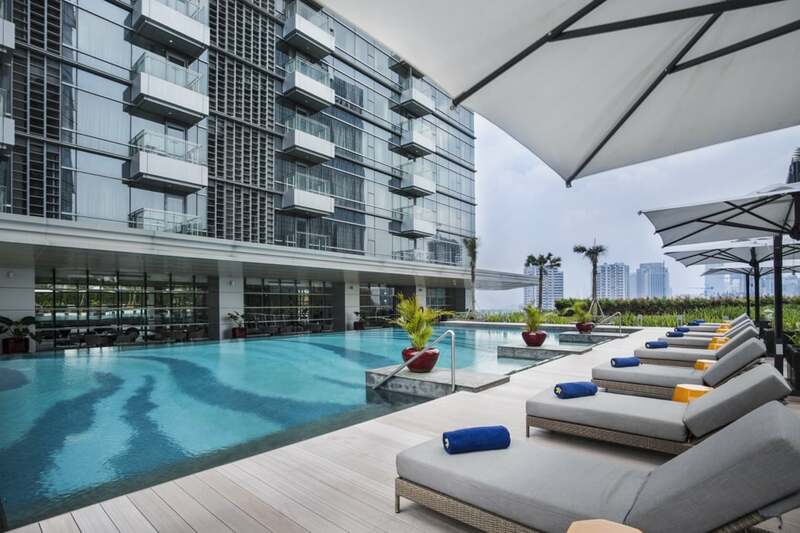 Located within a 30-storey mixed development project called The H Tower on one of the city centre’s main roads, the Citadines Rasuna Jakarta is neighboured by the Plaza Festival shopping and entertainment complex, as well as Epicentrum, a lifestyle and entertainment centre. There is a 24-hour reception, a fitness centre with indoor heated swimming pool, Jacuzzi and sauna, carpark and laundrette, as well as a Business Corner. The stylish apartments vary from studio to two-bedrooms. 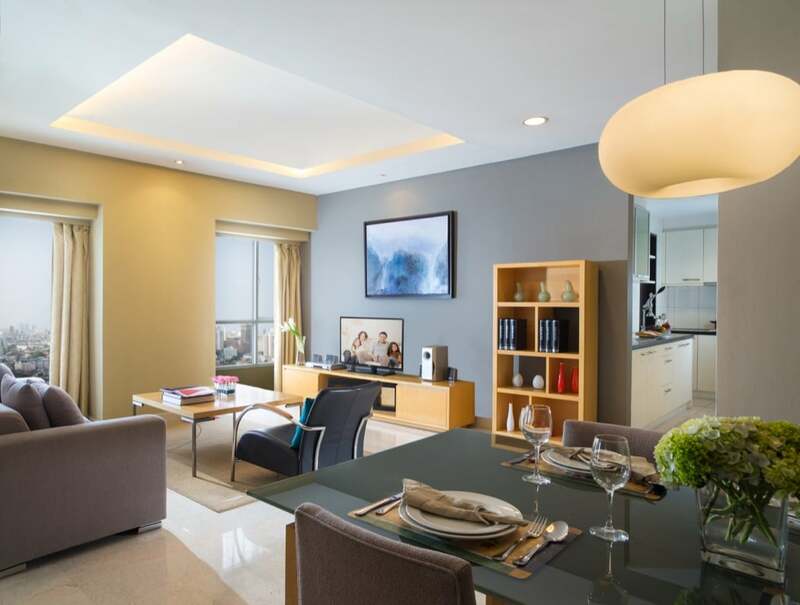 If you’d prefer to be slight out of the main hustle and bustle then the Somerset Berlian Jakarta residence is an excellent choice. Nestled within the exclusive Permata Hijau residential district, you are still just 15 minutes away from the centre and are still surrounded by wide range of dining, shopping and entertainment offerings; but you also have the benefit of being surrounded by lush greenery and beautifully landscaped gardens, a wonderful calming contrast to the madness of the city! You have more space here too, with two and three-bedroom apartments available. The facilities at this property include a Business Corner, gym, breakfast lounge, children’s playroom and playground and a charming swimming pool surrounded by those lovely gardens. 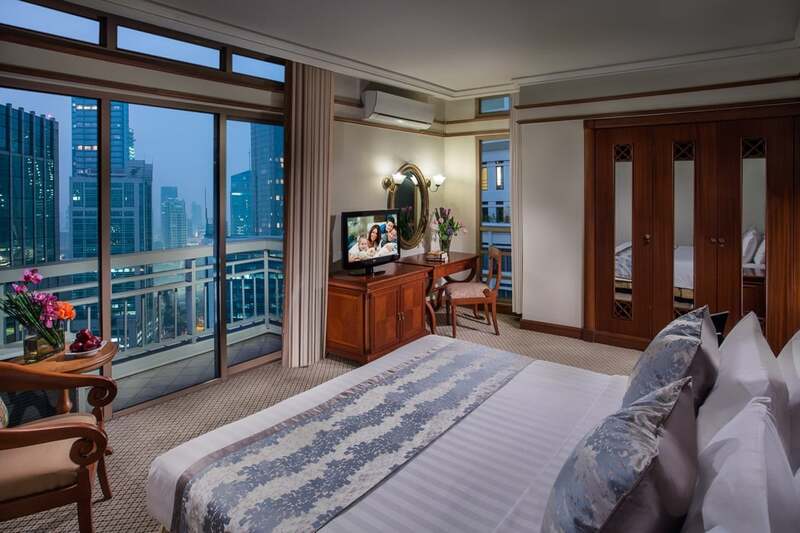 Also located in ‘The Golden Triangle’, the Somerset Grand Citra Jakarta is in the heart of the action. The beautiful apartments vary from one-bedroom to four-bedrooms and all benefit from floor-to-ceiling windows and a private balcony offering fabulous views of the gleaming metropolis below. 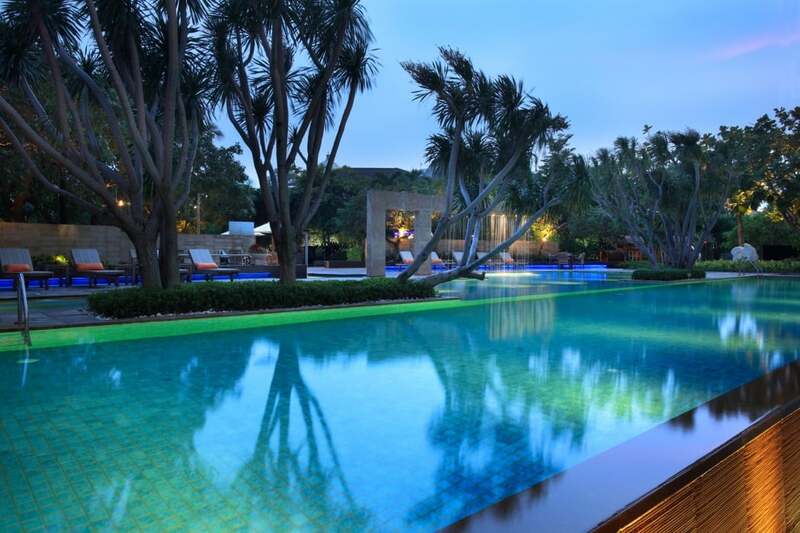 The facilities are excellent and include an in-house convenience store, gym, sauna, badminton and basketball courts, swimming pool, children’s wading pool, tennis courts, massage rooms and an indoor children’s playground. There’s also a selection of tempting in-house restaurants and cafes for those days when you just want a convenient, yet delicious, option!